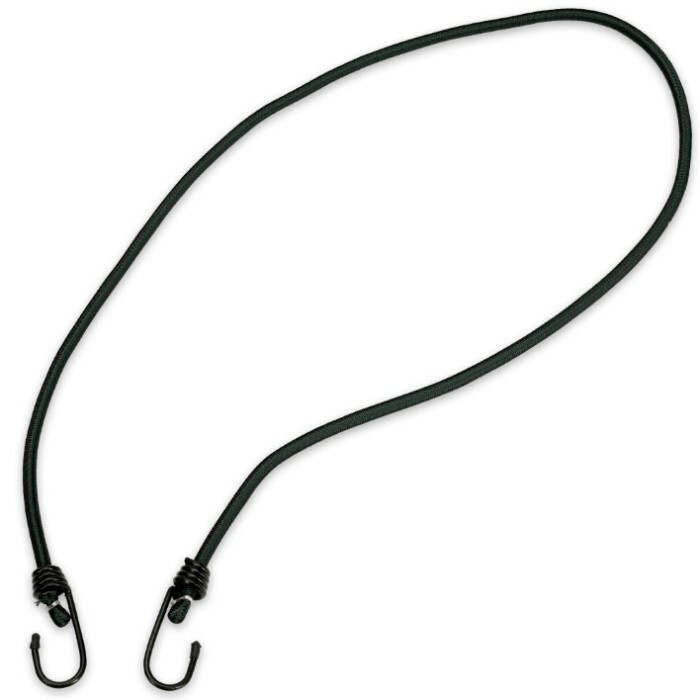 Trail Blazer 4' Bungee Cord Twin Pack - Black | BUDK.com - Knives & Swords At The Lowest Prices! 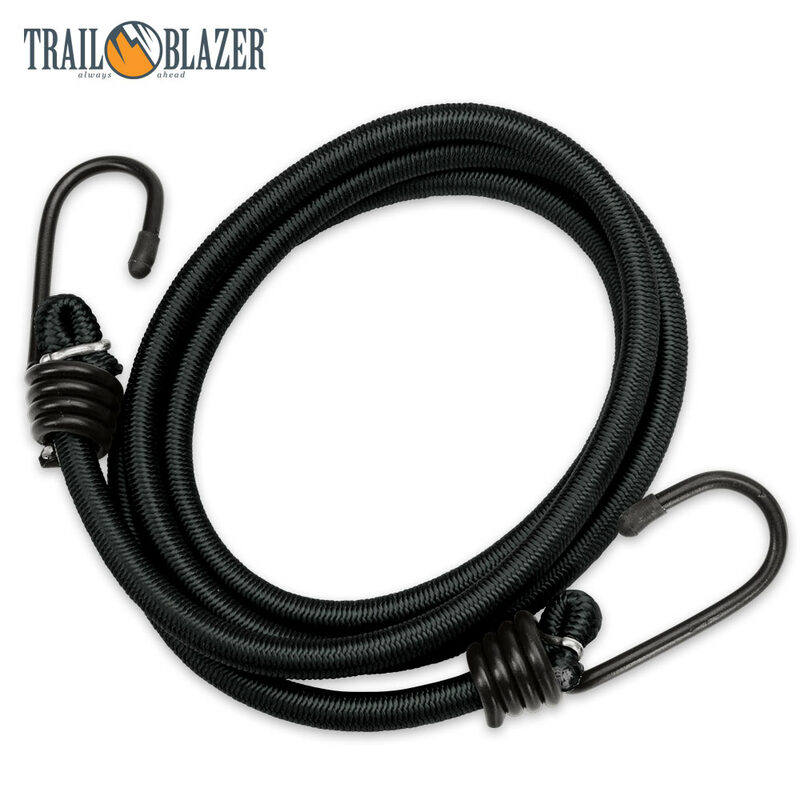 These top quality bungee cords from Trail Blazer are perfect for securing all sorts of items, whether you're deep in the wilderness on a back country adventure or just working in your garage or backyard at home. With heavy duty elastic rubber cores and water- and abrasion resistant woven polypropylene jackets, these tough bungees are built to last - keeping your gear tied down firmly in even the harshest conditions. The steel hooks on the ends are coated in a rust/corrosion resistant polymer and feature rubber tips to prevent scratching furniture, automotive paint and other delicate materials. 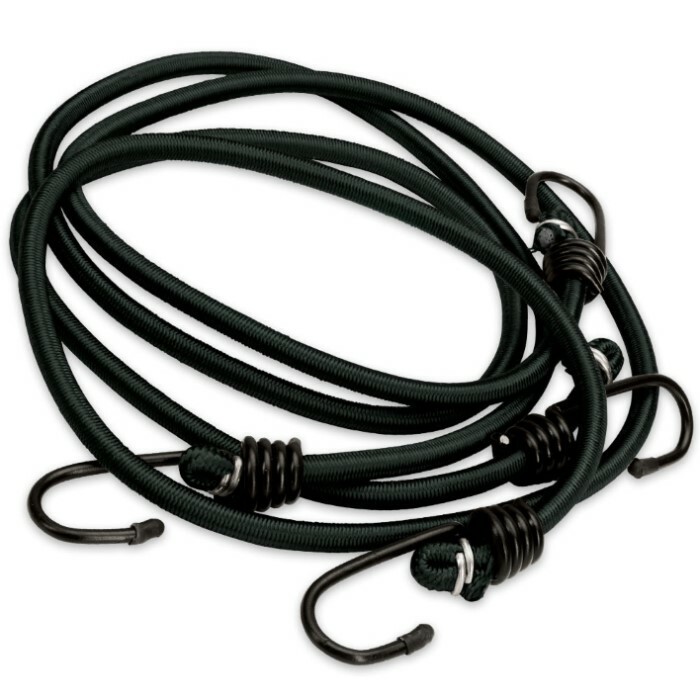 Each of the bungee cords in this handy twin pack are 4' long at rest and stretch up to 6', making them ideally sized for countless common household, backyard or back country tasks.